Barcelona line-up: Jefferson, Dani Alves, Dante, Luiz, Marcelo, Gustavo, Oscar, Paulinho, Hulk, Jo, Neymar. The 2014 FIFA World Cup kicks off in about 8 months and ast he host nation, Brazil must keep their preparation going as any other team. 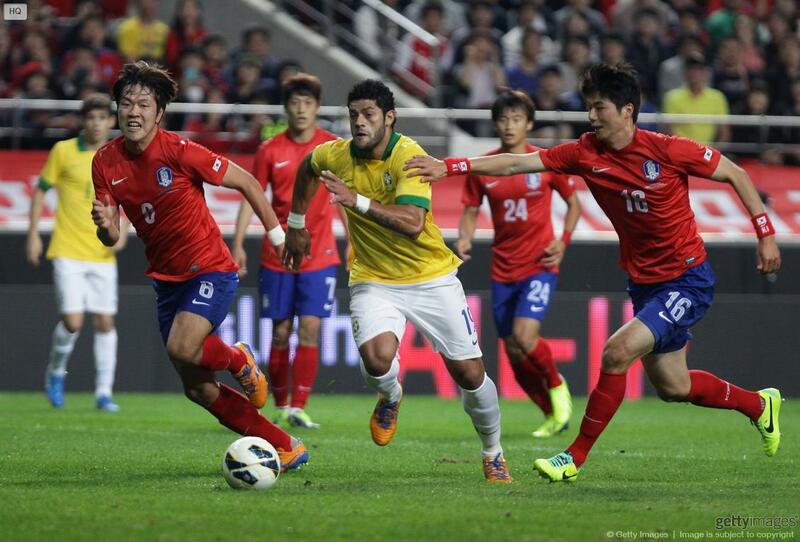 The “Escrete” travelled to Seoul this past Saturday and defeated South Korea by 0-2, thanks to goals from Neymar and Oscar. The Barcelona player got to score the opener from a well taken free-kick, putting Brazil on the lead in a game where actually anything different from that was expected to happen. 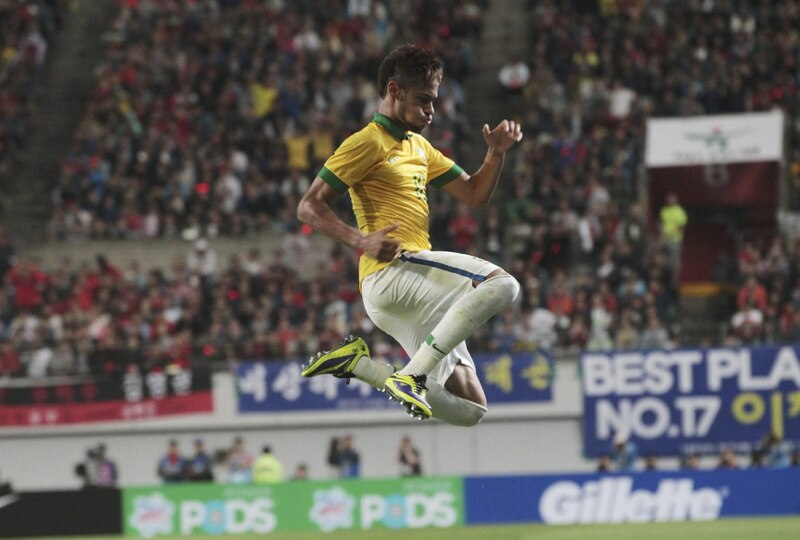 Neymar curled the ball into the goalkeeper’s right-post and scored his first free-kick goal of the season. Oscar extended the lead just a few minutes after the break and established the final score in the game. The Chelsea midfielder picked up a pass made from Paulinho, left the South Korean goalkeeper on the ground as he got past him and struck the ball into an empty net. Brazil‘s will now play their next friendly this Tuesday, against Zambia.